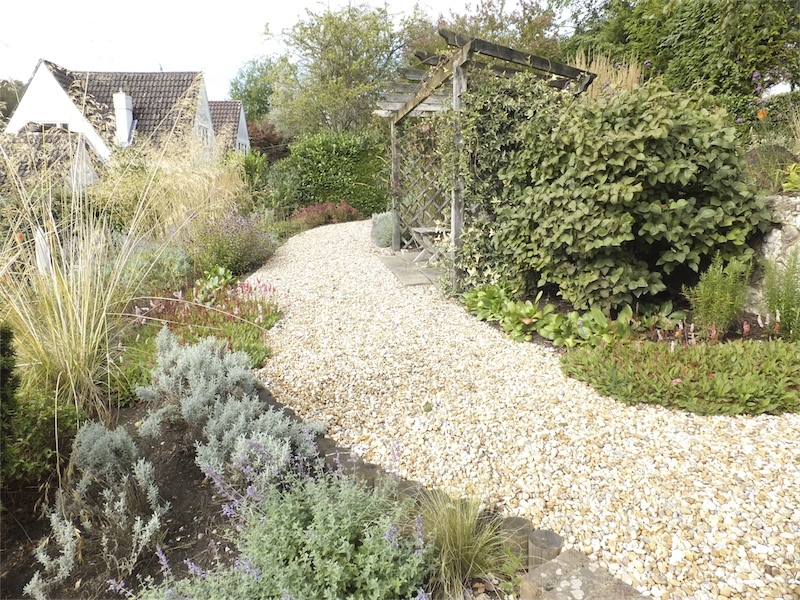 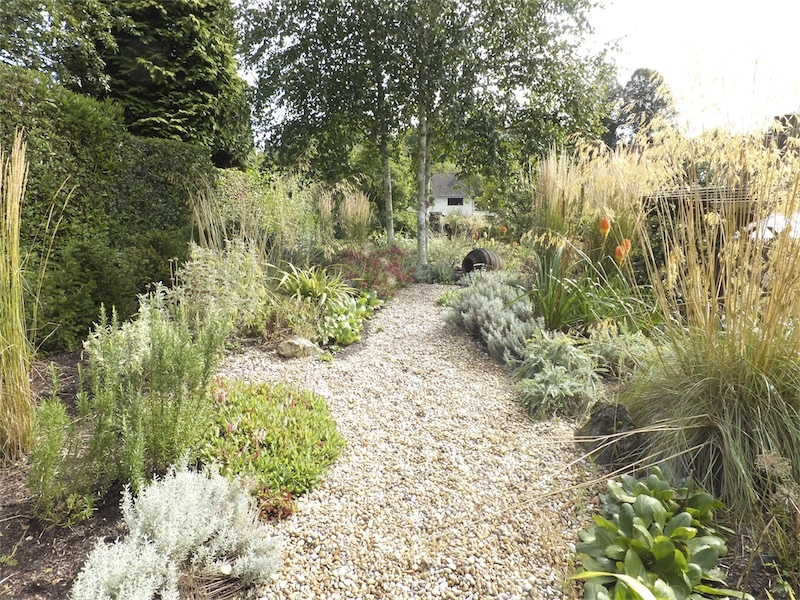 The front garden is broken up with a mix of perennials and ornamental grasses that flank the Indian sandstone path. 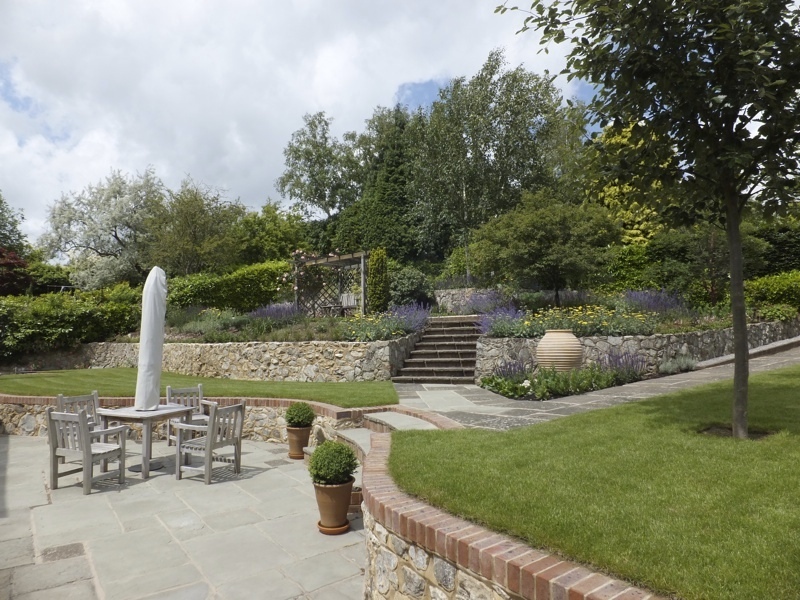 A number of box balls around the front door add a sense of formality and structure to the planting. 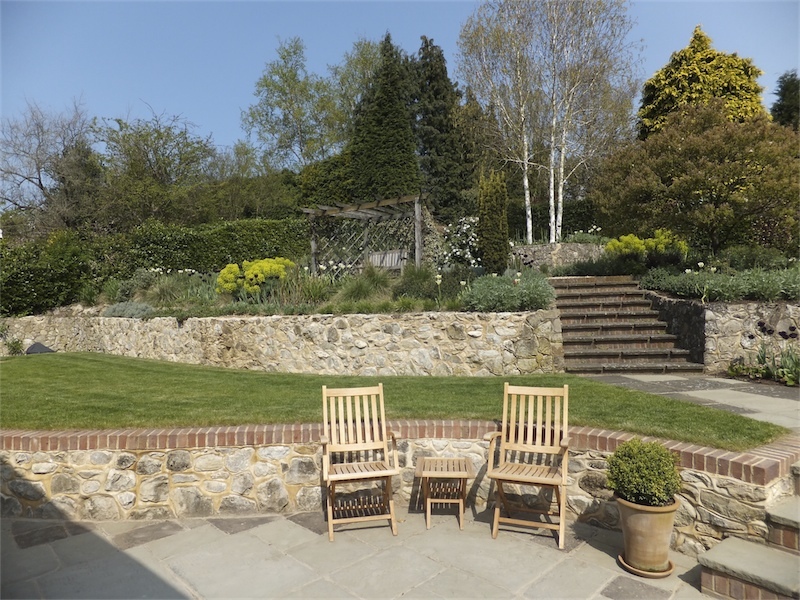 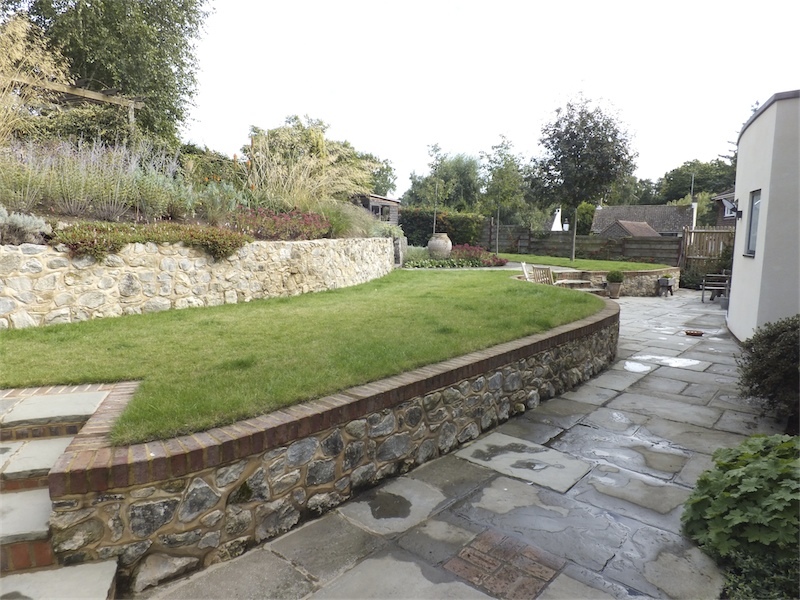 The back garden is broken up by a number of retaining walls that divide the garden into usable levels. 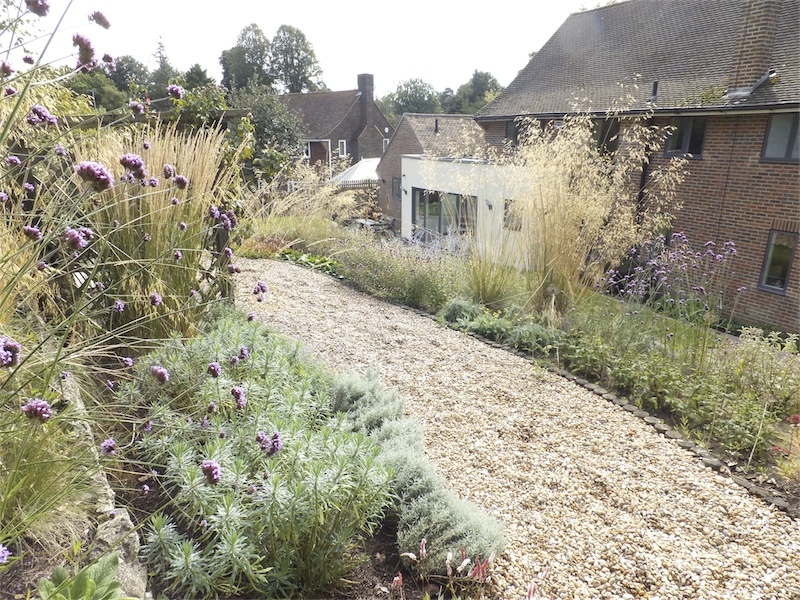 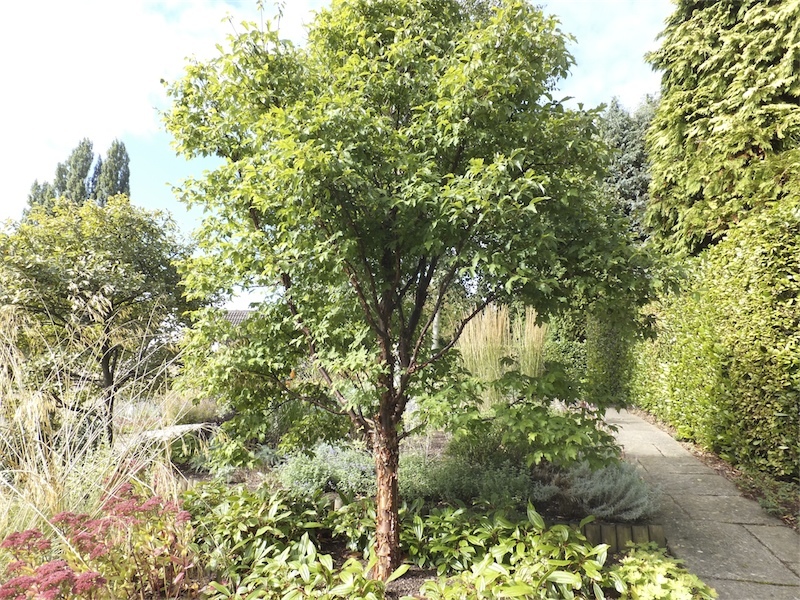 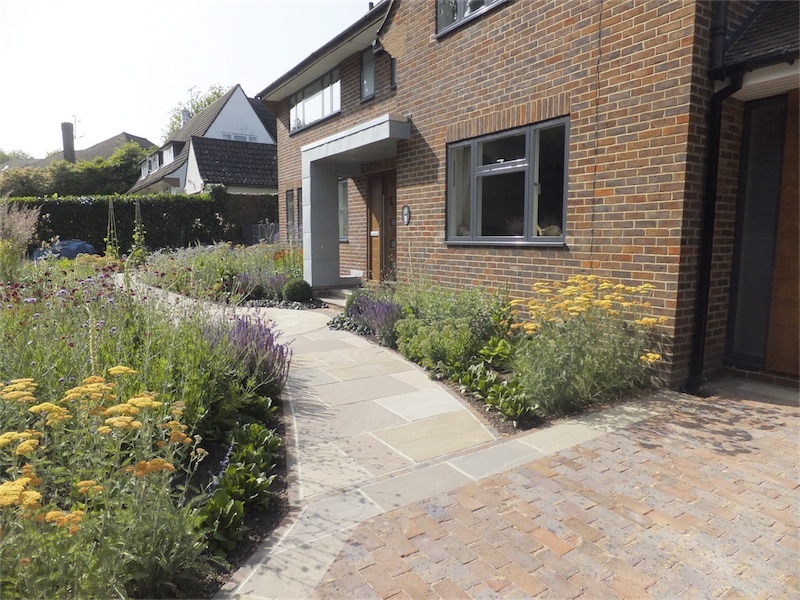 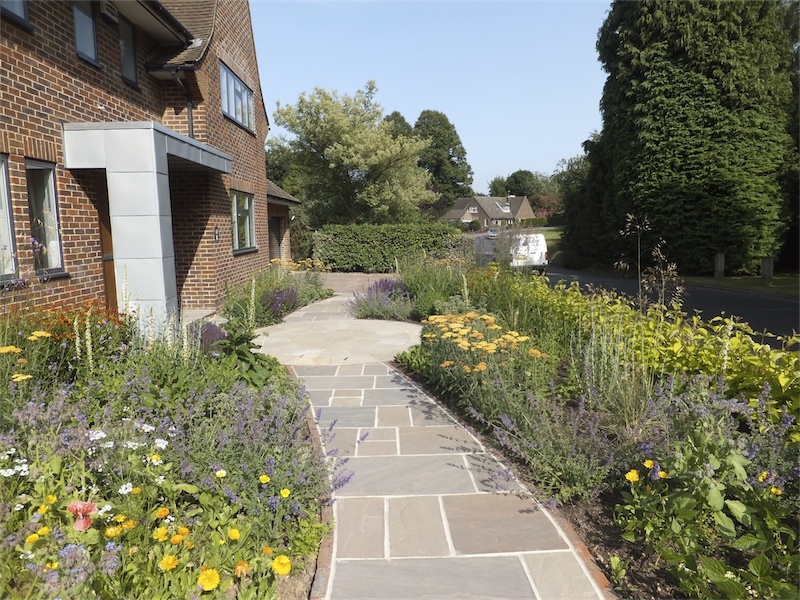 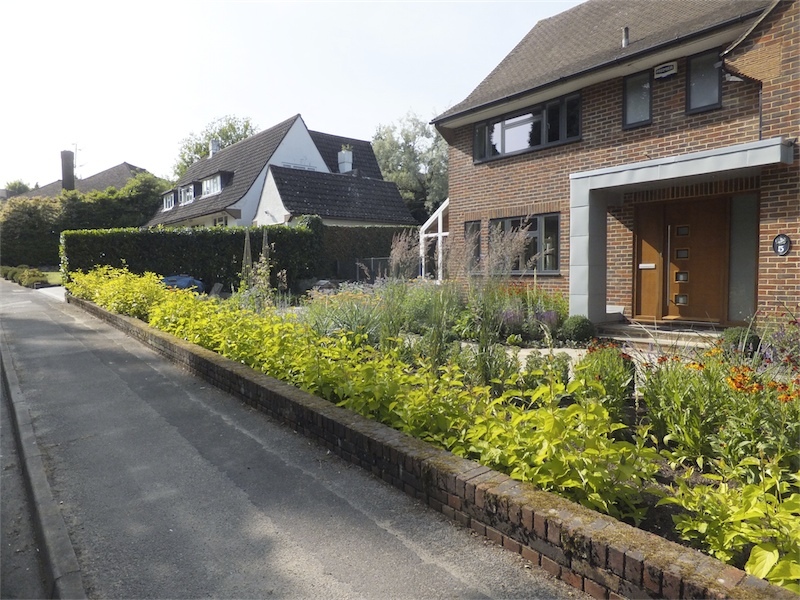 The planting mix of Achillea, Nepeta, Salvia, Persicaria and Cistus were chosen to tolerate the sandy, free draining soil.